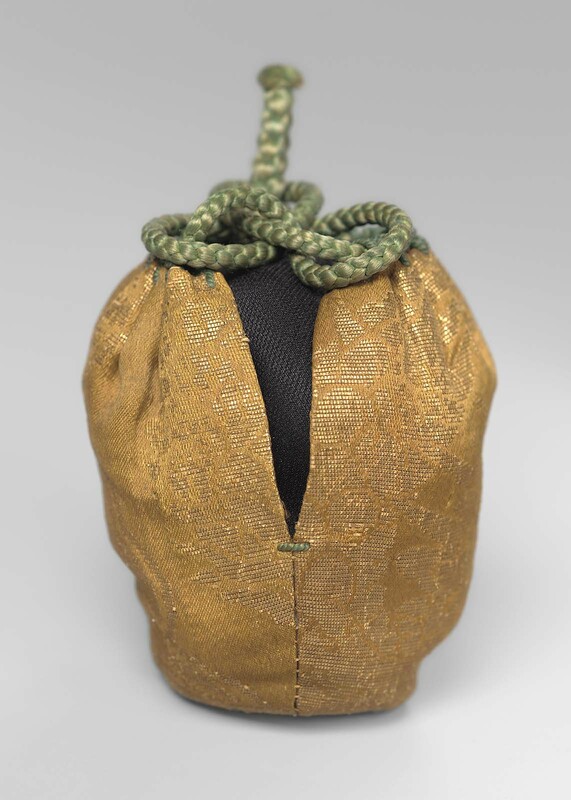 Drawstring bag (shifuku) for tea container (chaire) with design stylized cloud motifs in metallic gold supplementary weft patterning on a golden brown silk satin ground (possibly 13th or 14th century, Yuan dynasty). Lined with purple, plain-weave silk. Drawn up with a green, braided silk cord.